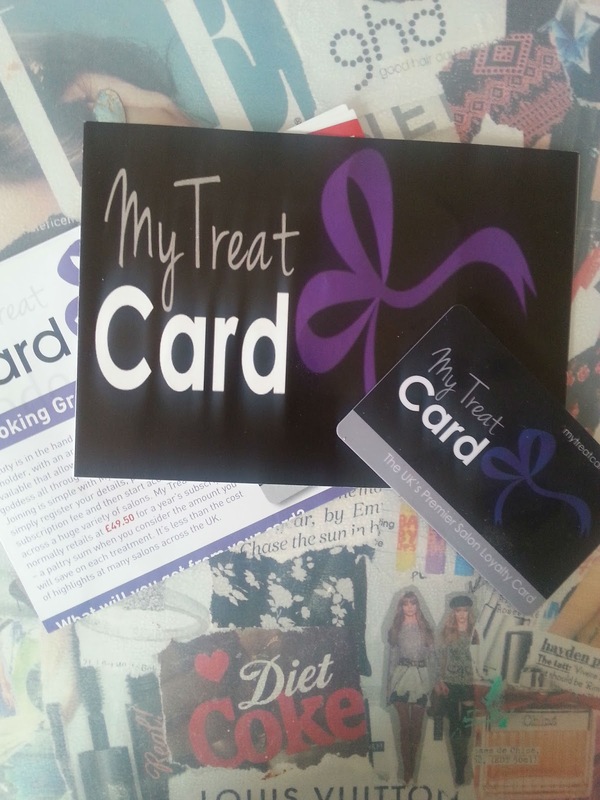 If you are familiar with 'The Taste Card' then you will know all about how the My Treat Card works as well! If you don't let me quickly explain it.. 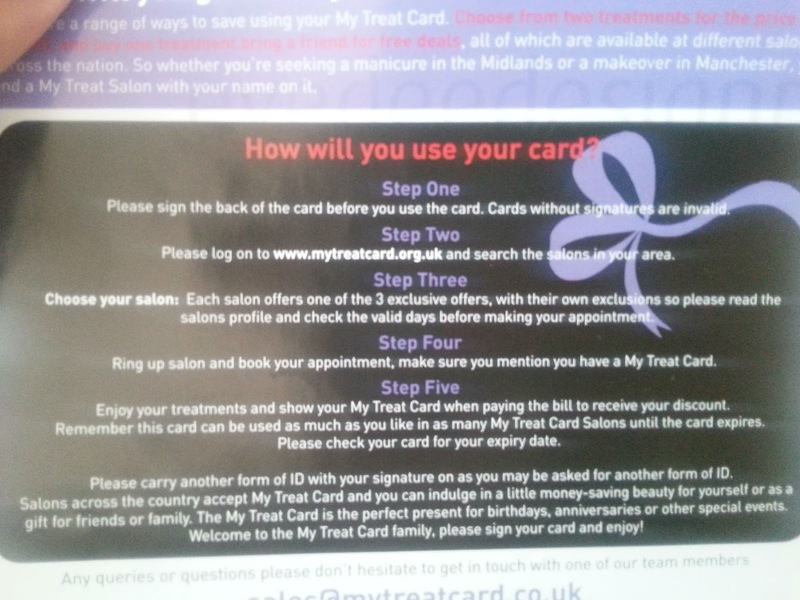 The My Treat Card is a membership card that you take to certain salons in your area and receive different discounts from 25% off, 2 for 1 and Buy One Bring a Friend for Free! 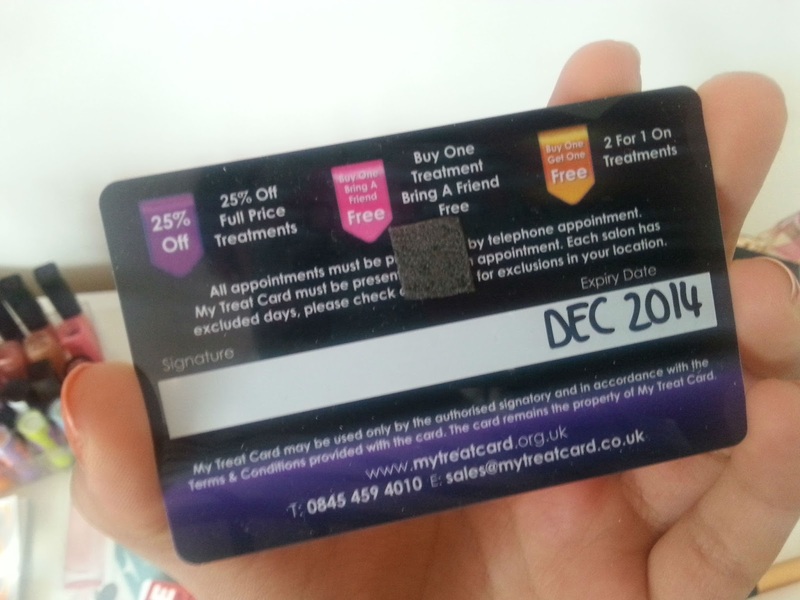 All you do is search for you local salon on ring them up to book yourself in and then get the discount that they offer with the card. So, you can pick which is the best for you and then go ahead and treat yourself to something special! I love the card its self as well because it is so professional looking and sits nicely in my purse. 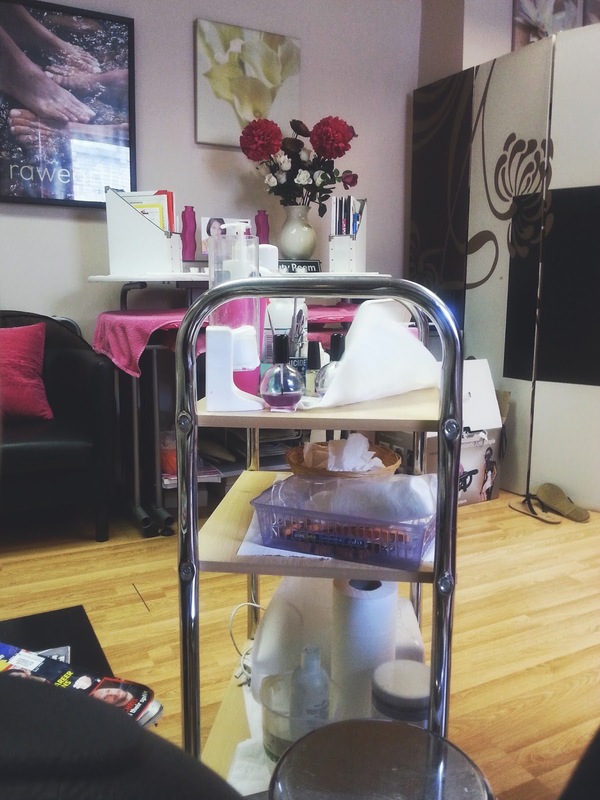 I went to my local salon with my friend and we had a very relaxing Pedicure treatment. My first experience and it went amazingly! When I booked, I phoned them to tell them that I had this card and they said 'yes thats fine' so I presumed everything would be fine. It was funny now that I look back, because they didn't think that anyone would ever come in using the card, but I told them that I will be back so don't worry! The salon was so pretty and I told them all there, that I will be back! The pedicure was so relaxing and I cannot tell you how soft and clean my feet are, I was so tense from standing up at work all day and now I can happily stand up and be fine! I had this gorgeous China Glaze colour put on in 'Rose Among Thorns' which is such a stunning colour that this picture does not do it justice! If you like to treat yourself, or even want to treat yourself more then I would seriously recommend this card, it will be your life saver and you will get so much use out of it!